People travel from all around the world to attend the Huntington Estate Music Festival presented in association with Musica Viva Australia. 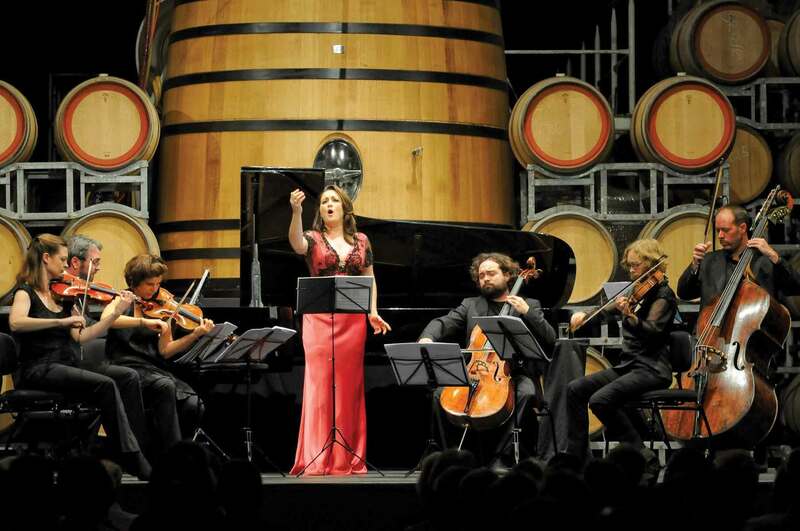 The Festival is ‘An important, prestigious event in the national arts calendar’ (Music Australia) in ‘one of the country’s most iconic venues for Chamber Music (Limelight). 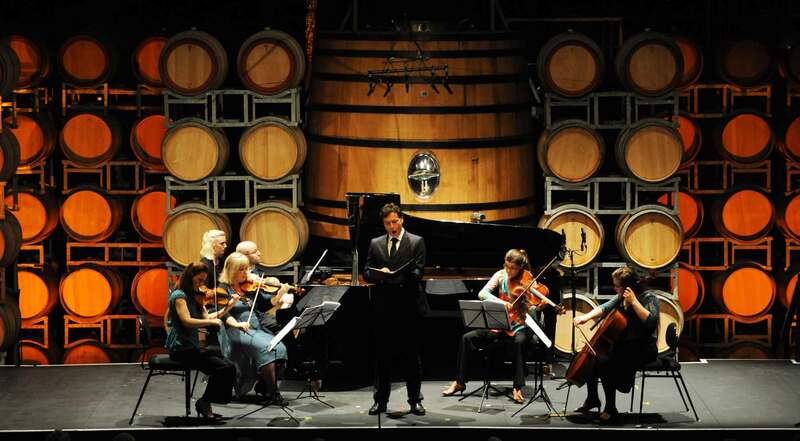 Musical content is devised by Artistic Director Carl Vine and managed by the world's largest chamber music entrepreneur, Musica Viva Australia. Each year features a stunning collection of prominent international artists alongside Australia's finest musicians, in stimulating programs that run the full gamut of the chamber music experience. Piano services Provided By Theme & Variations. The 8 concerts of the Main Festival run over 5 days between 20th and 24th November. The Opening Weekend (16th & 17th November) offers a 2-concert 'Taste of Huntington'. Telephone 1800 995 931 during office hours or for more information. If you've never been to the Huntington Estate Music Festival, read on to find out what it's like, and how it all works. Arrive at Huntington Estate and enjoy wine and a tasty selection of canapes. Enjoy a leisurely dinner outside. Go to bed tired but full of music, relaxed and happy to get ready to do it all over again tomorrow! NB: Of course soft drinks are also served, and there's no compulsion to stay late after lunch or dinner. Some of our audience do and some don't. The option to indulge is simply there if you want to take it! Enjoy a leisurely and delicious lunch outside with a selection of Huntington wines and a local cheese and fruit to follow. Feel free to stay and chat (to old friends and new, musicians and staff), drink wine and eat cheese for as long as you like. The first concert in the festival starts at 7:30pm on Wednesday evening. Join us from 6:30pm for a welcoming drink and to collect your tickets. Relax in the quiet anticipation that always takes over our patrons ready for a flood of fine music, food and wine. While some of our patrons prefer to indulge in an afternoon nap in readiness for the evening, others take the opportunity to explore Mudgee and the surrounding area, visiting vineyards, tea shops and art galleries, or simply strolling around the beautifully preserved country town. "In conversation" pre-concert talks during main festival outside (weather permitting, in the barrel room if not) with featured artists talking to artistic director Carl Vine. Go to bed tired but full of music, relaxed and happy to get ready to do it all over again! !